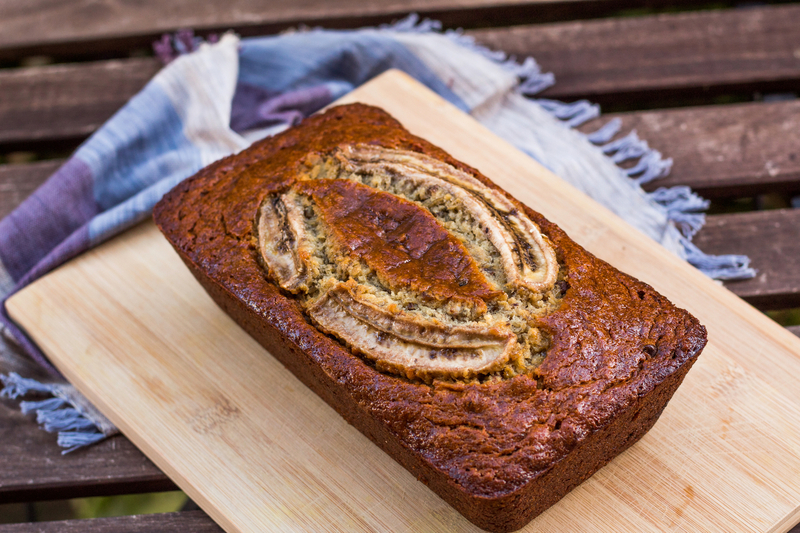 Have you ever searched ‘Best Banana Bread’ on Pinterest or google? There’s literally hundreds and even possibly thousands of recipes that claim they are the best. The takes on banana bread are so varied. Nuts, no nuts. Chocolate chips, no chips. Butter no butter but instead oil or vice versa. 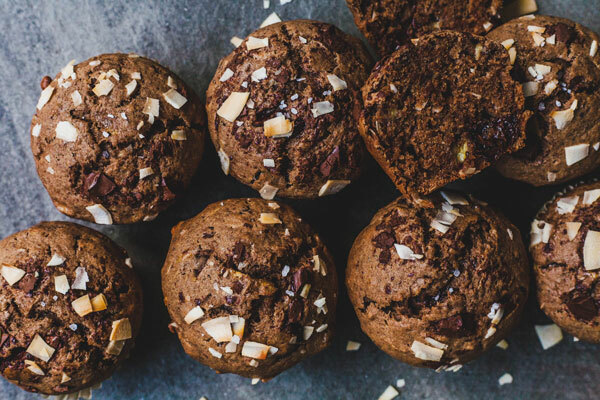 Gluten free, vegan, paleo, pumpkin and the list goes on and on and on! I have tried many different recipes. The only ones I haven’t tried are vegan or gluten free, so I can’t say anything about that category yet. I will have to experiment with those recipes soon though. I think banana bread is one of those foods that people have different opinions on. For example I brought this particular bread to work one day and of course almost everyone raved about it (because it’s such a yummy recipe) except one person who took one look at it and said “that looks over done”. She was use to box banana bread/ muffin mix which is like yellow box cake with flecks. 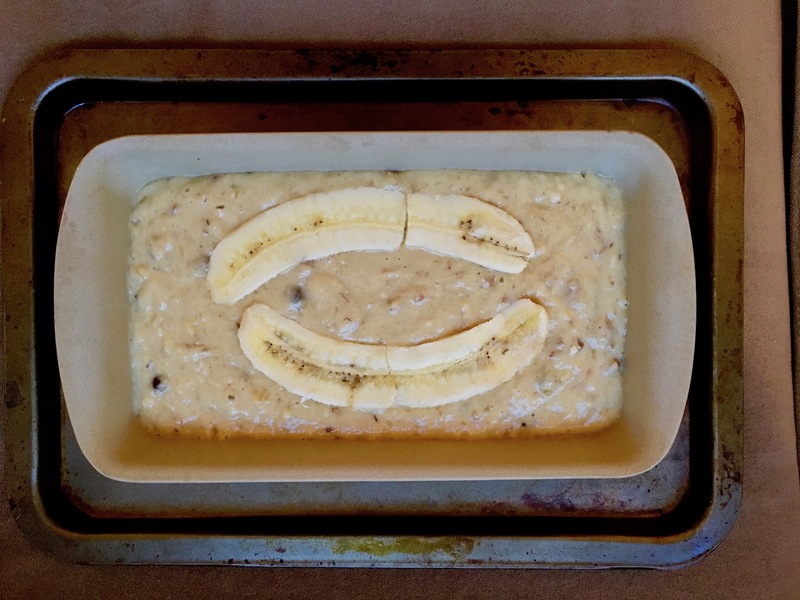 She had never had this kind of banana bread; a banana bread made from scratch. Once she knew the difference she agreed to have some and enjoyed it, but to her the best banana bread came from a box. Is she wrong? Absolutely not in her mind and her taste. I’m not going to be judge of tastes, but you get the point. 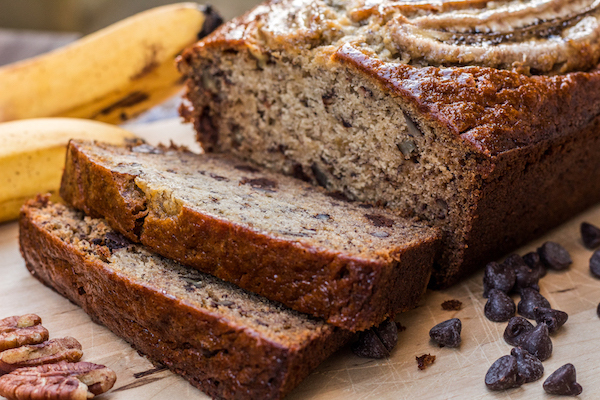 Everyone’s taste for banana bread and what they consider good banana bread is different. The original recipe is from the food network by Tyler Florence. I adapted it because I find the part of that recipe that says to separate the 4 bananas and prepare in two batches doesn’t work for me. The consistency doesn’t come out the way I like it so I don’t separate the bananas. I blend all four together as you see in the recipe. 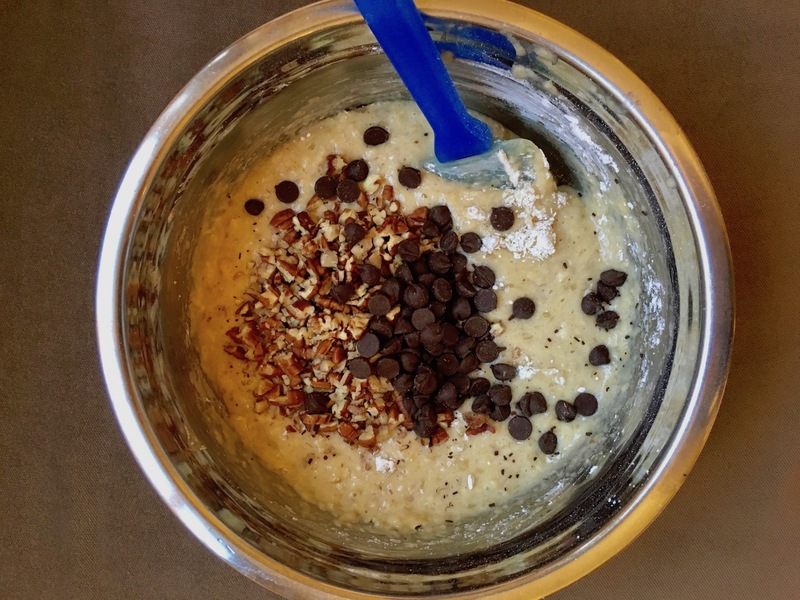 I also almost always add chocolate chips. I love the crunch from the pecans or walnuts if your swapping, and the little surprise crunch and burst of sweetness when you bite into a chocolate chip. Definitely feel free to try the recipe on the food network website and compare for yourself. 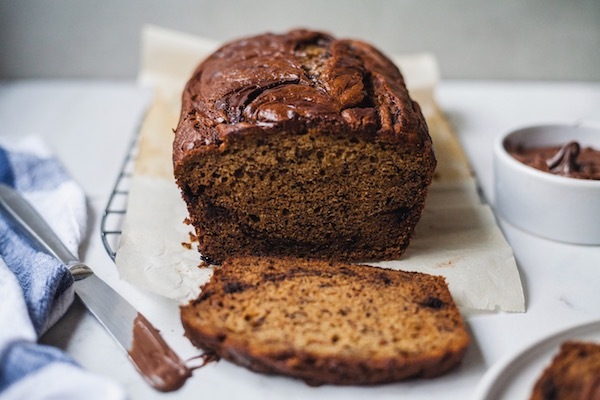 In the meantime I hope you enjoy this recipe which is my favourite banana bread recipe. A classic and a favourite of anyone I have made it for too. Can’t beat that right! 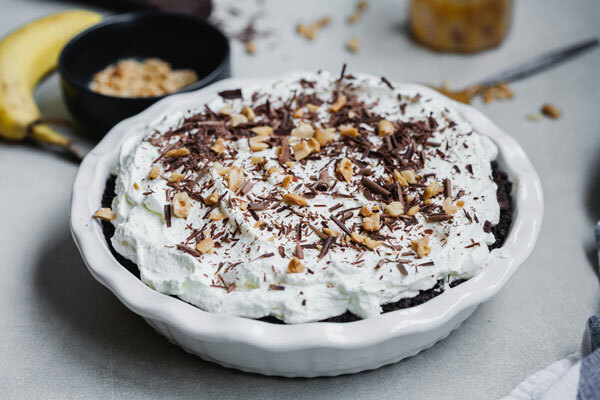 Let me know if you have a favourite recipe for this classic. I would love to know and I’m always willing to try other recipes for it. Preheat oven to 350°F and lightly grease a 9 by 5-inch loaf pan. With an electric mixer fitted with a wire whisk, whip all 4 bananas and sugar together for a good 3 minutes. Add the melted butter, eggs, and vanilla; beat well and scrape down the sides of the bowl. 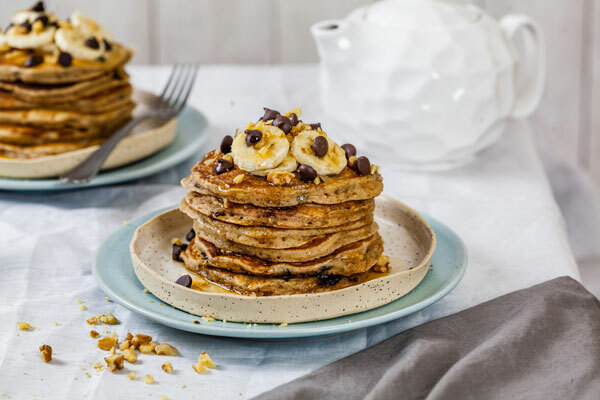 Fold in the nuts, chocolate chips and the mashed bananas with a rubber spatula. Bake for about 1 hour and 15 minutes, until golden brown and a toothpick inserted into the centre of the loaf comes out clean. Adapted from Tyler Florence’s banana bread with pecans.